Senior Vice Chancellor for Academic Affairs Dele Davies, M.D., has announced leadership changes in academic affairs to better integrate and coordinate support for faculty. Kari Simonsen, M.D., will spearhead the creation of the Office of Faculty Affairs and has been named interim assistant vice chancellor for faculty affairs. She currently serves as vice chair for clinical and academic affairs in the Department of Pediatrics and division chief of pediatric infectious diseases. Dr. Simonsen has a strong track record of sustained leadership and interest in faculty development. A graduate of UNMC's Interprofessional Leadership for Excellence and Academic Development (iLEAD) program, the Great Plains Leadership Institute in the College of Public Health, and the Children's Hospital/Creighton University Leadership Experience Accelerator for Physicians (LEAP) program, she will complete the Executive Leadership in Academic Medicine (ELAM) program at Drexel University next month. During the ELAM intensive one-year fellowship, Dr. Simonsen focused her efforts on developing programs for faculty development, mentorship and support. Read Dr. Simonsen's full bio. "The resignation of Dr. Howard Liu as the assistant vice chancellor for faculty development to become the interim chair of psychiatry offered us the opportunity to strategically reevaluate existing resources," Dr. Davies said. "The creation of the Office of Faculty Affairs will ultimately lead to more efficient allocation of resources and enhanced support of faculty. Dr. Simonsen is a wonderful fit for this position because she possesses the leadership skills, collaborative spirit and passion for developing faculty that is necessary to making the office a success." Under the new structure, the assistant vice chancellor for faculty development role has been eliminated. Instead, the assistant vice chancellor for faculty affairs will lead the newly established Office of Faculty Affairs and oversee the activities of Faculty Development, Interprofessional Academy of Educators, Interprofessional Education and the Office of Equity, as well as work closely with the Faculty Mentoring program. Dr. Davies also noted this reorganization is occurring within the current allocated budget of the units involved. "Faculty are one of our most valuable resources for impacting the success of students and residents and advancing UNMC's mission. As such, we need to ensure they have an inclusive environment that supports their ongoing development, personal well-being and professional effectiveness," Dr. Simonsen said. Her vision is to create an office that serves as a central access point for UNMC faculty by providing the guidance, resources and training they need to achieve teaching, research and scholarship success. "I look forward to this opportunity to create synergy across programs, as well as support avenues for the advancement of junior faculty, women and faculty from underrepresented groups," Dr. Simonsen said. "As the faculties of UNMC are its most important asset, the new Faculty Affairs group will ensure coordination of professional development, educational leadership and research, interprofessional interaction, and mentorship/coaching of all faculty members and lead to greater faculty growth and retention. I look forward to working with Dr. Simonsen as she brings these goals into fruition." "As Faculty Senate president, I view Dr. Simonsen as an excellent choice for this new role and look forward to working closely with her on initiatives directed toward development and support of our talented faculty. 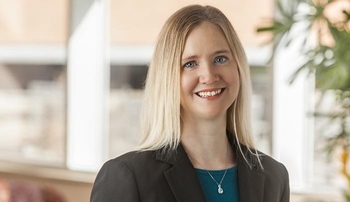 Being an ELAM leadership participant with a focus on faculty development, Dr. Simonsen will be able to utilize her well-developed skill set to build upon the excellent work of UNMC's existing faculty development areas. The opportunity to use this role to integrate other institutional resources in support of our faculty will have a positive impact, as well." "Dr. Simonsen has done a great job in the Department of Pediatrics. She has a strong commitment to education and professional development and she brings a wide range of experiences in service and leadership to her new role as the head of Faculty Affairs office. She is a great choice for this position." "Having an assistant vice chancellor for faculty affairs will help to further establish a strong connection between UNMC and Nebraska Medicine. Dr. Simonsen will play an important role in helping to ensure our faculty are ready to meet not only the needs of our students but our patients as well."